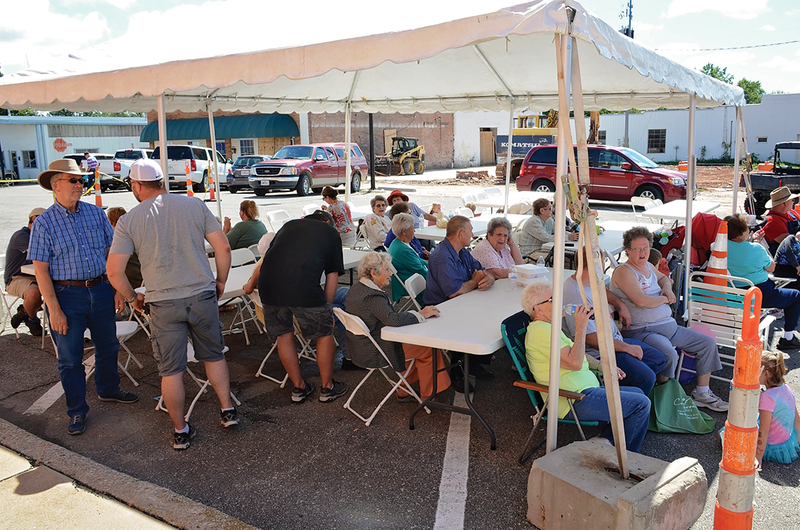 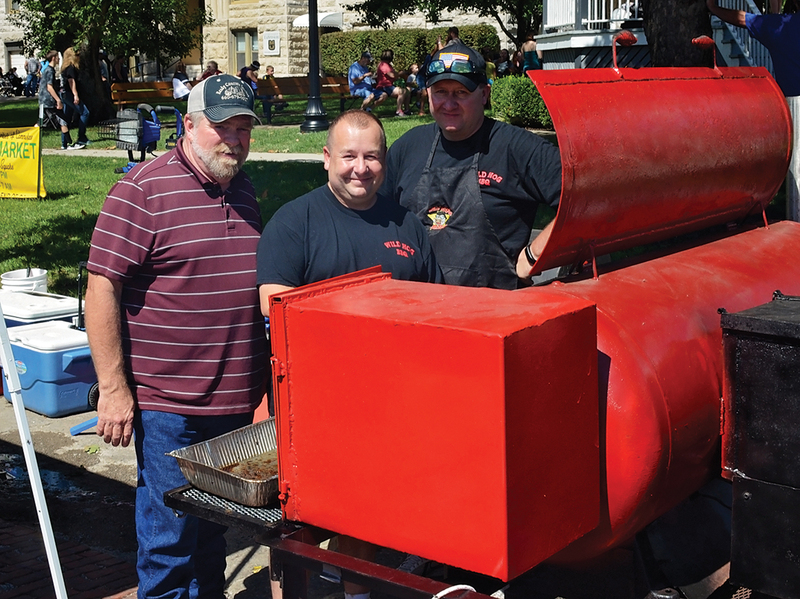 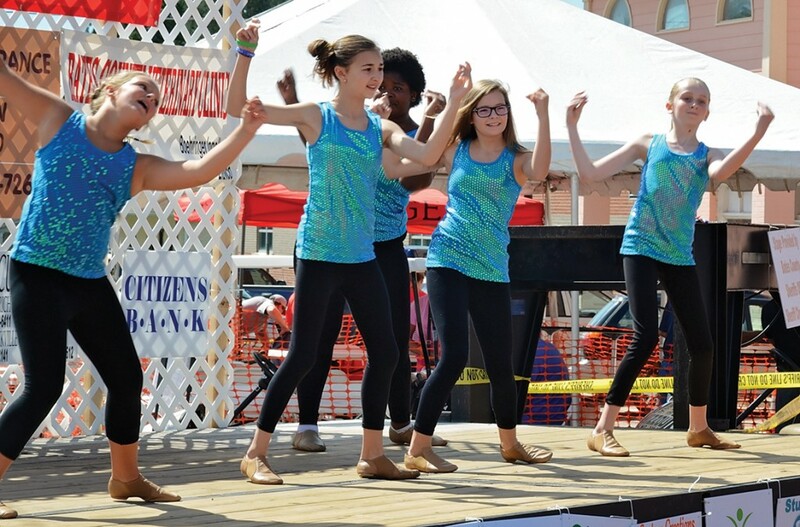 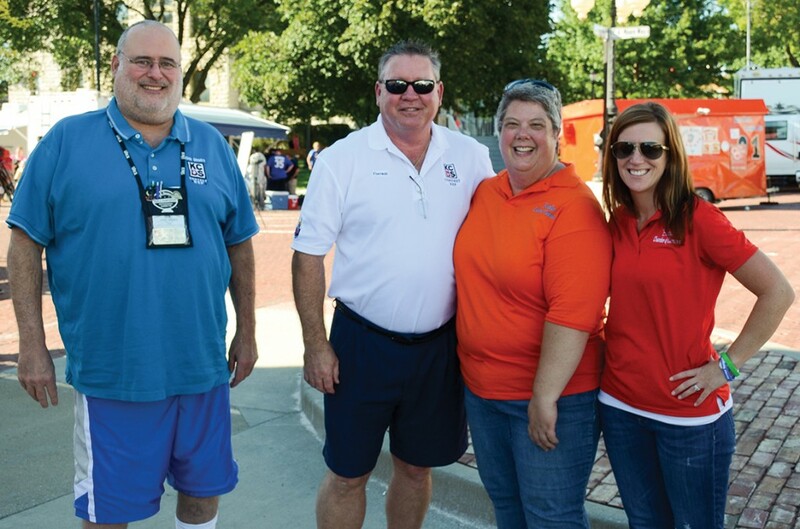 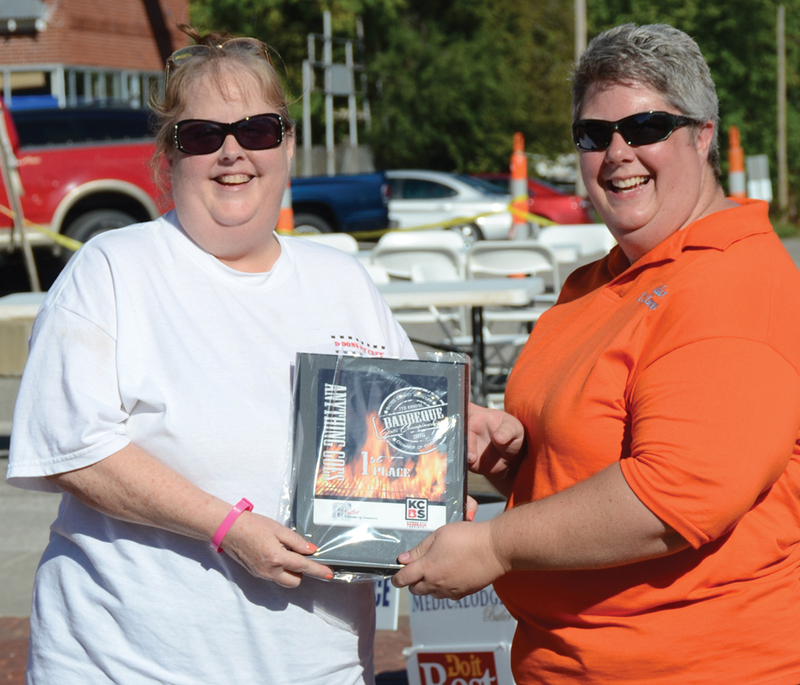 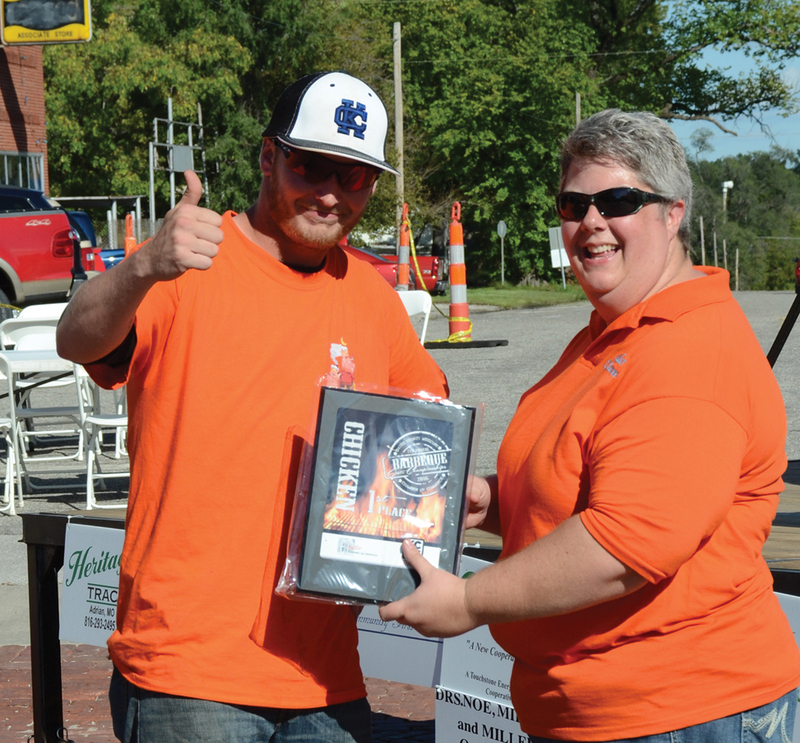 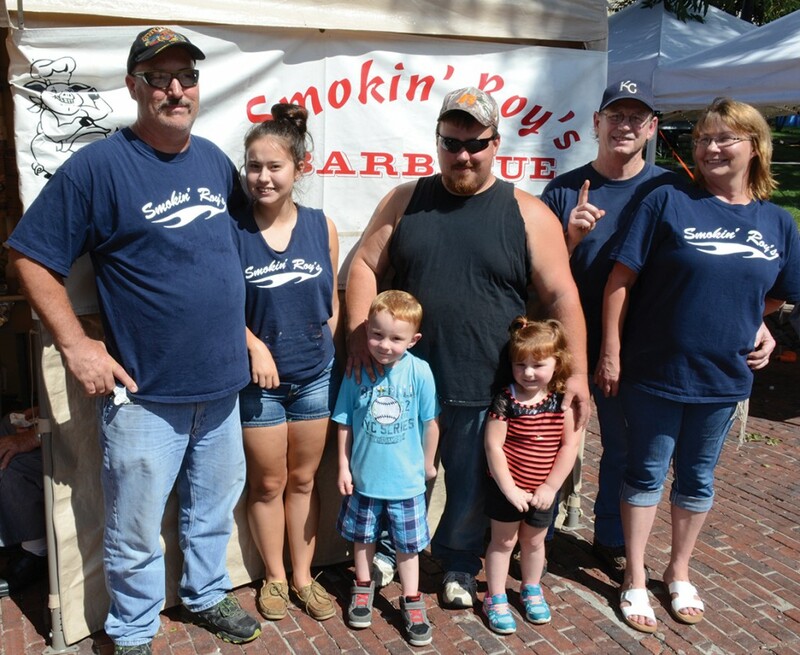 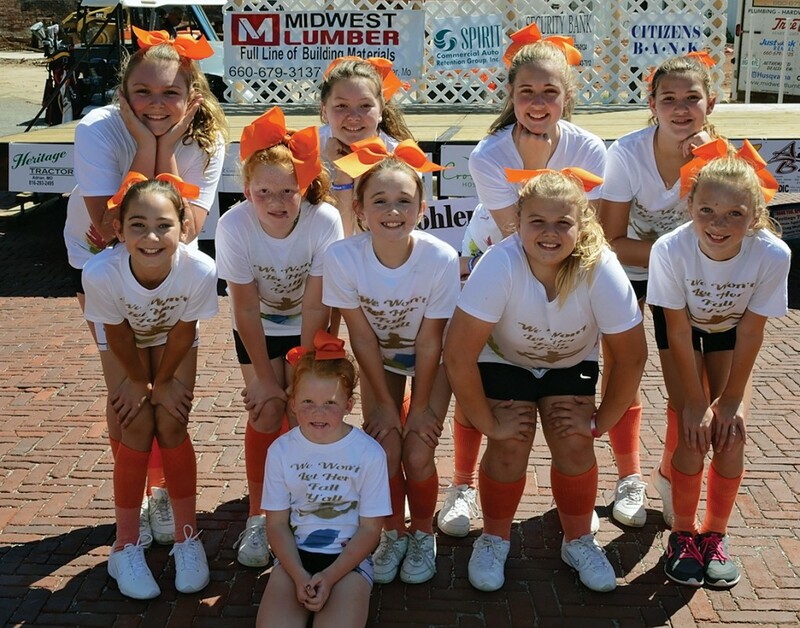 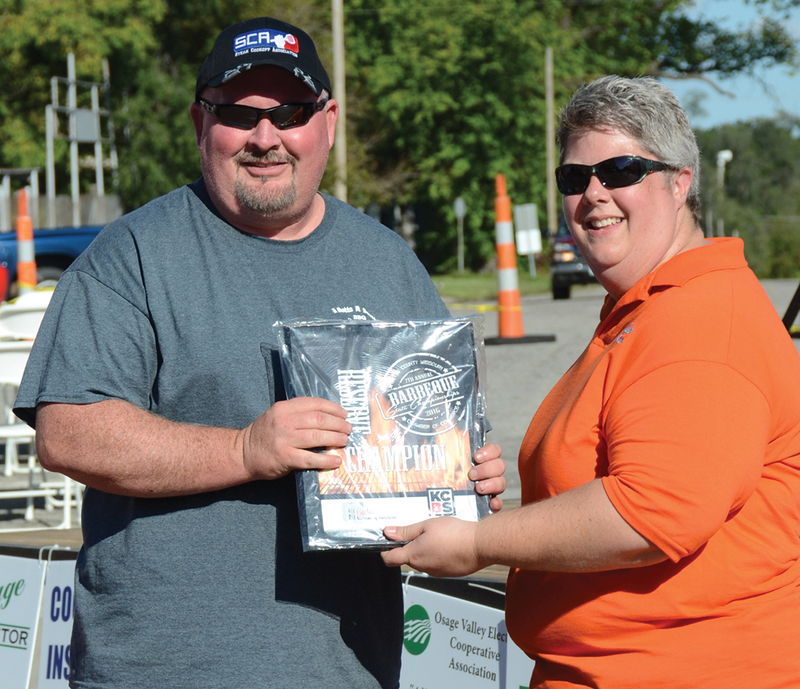 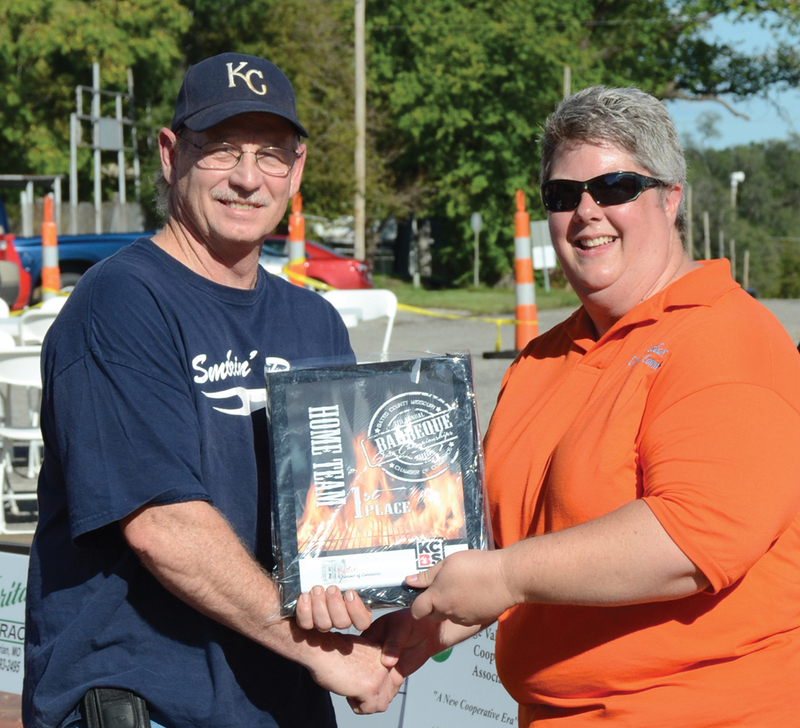 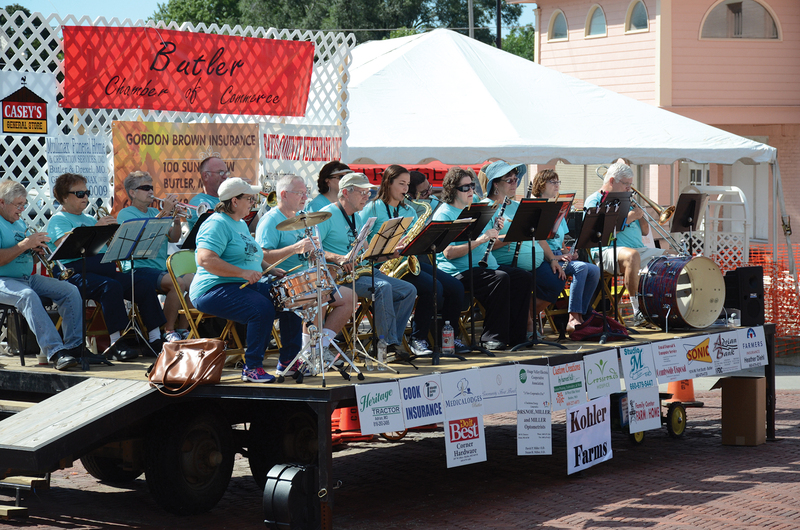 BBQ teams started pulling into the square on Friday, Sept. 16, 2016, and in spite of a little rain, spirits weren’t dampened by Friday evening for the Breakaway Band’s performance. 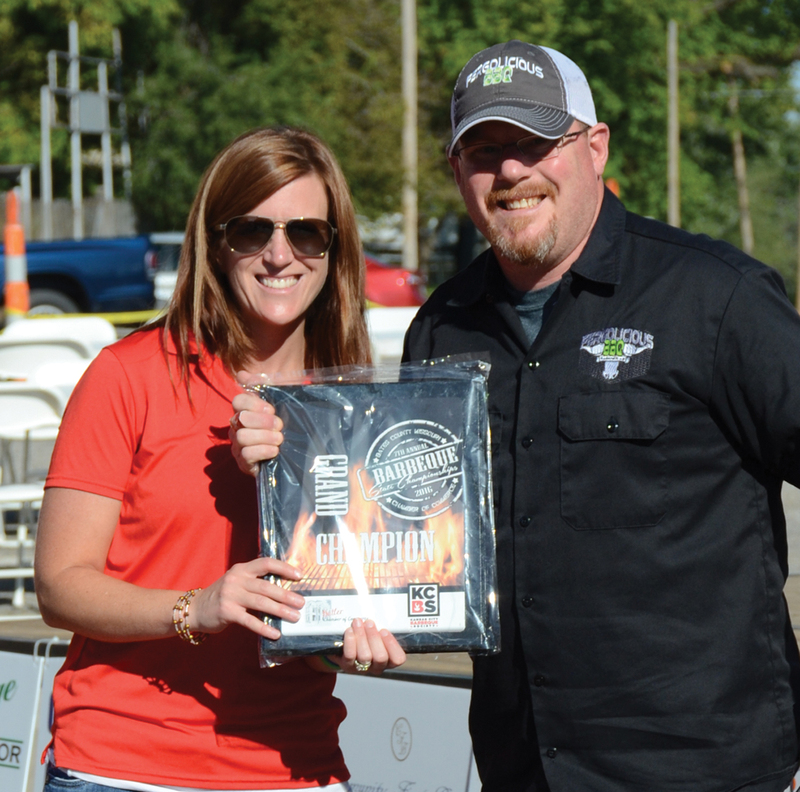 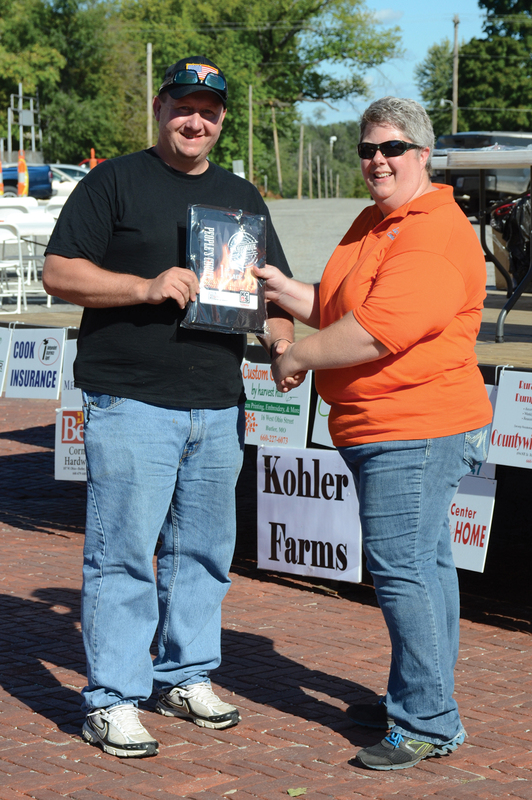 Beautiful weather on the 17th helped make the contests, games and BBQ cookoff a day to remember. 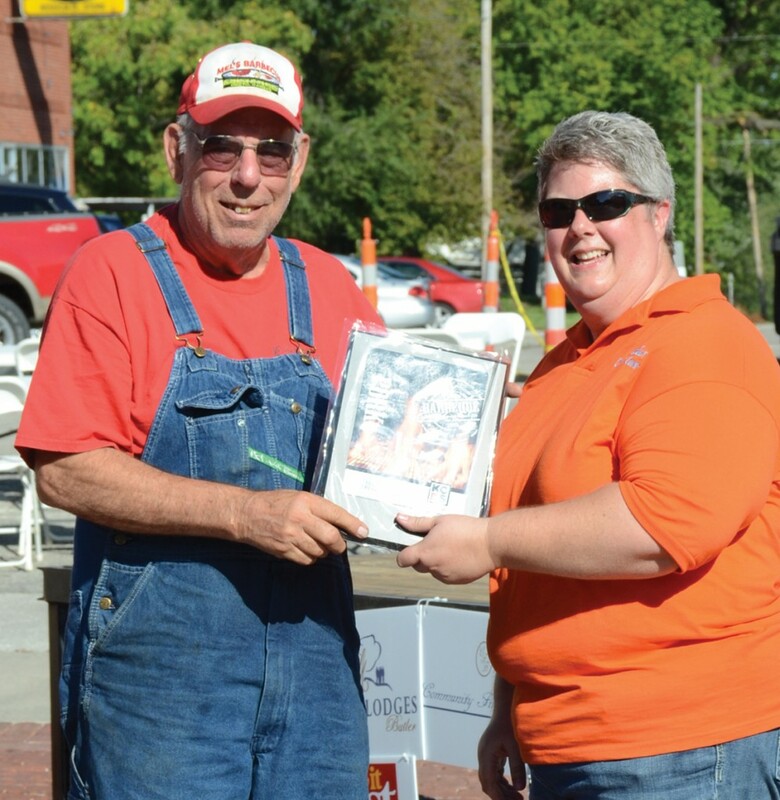 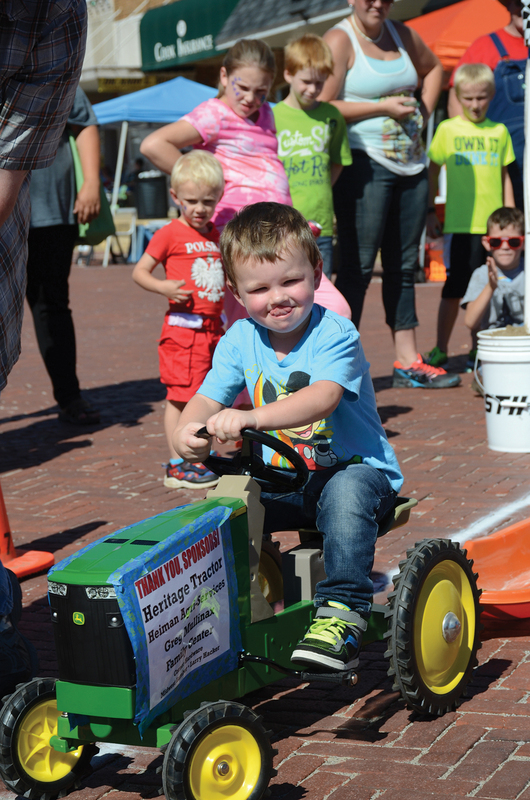 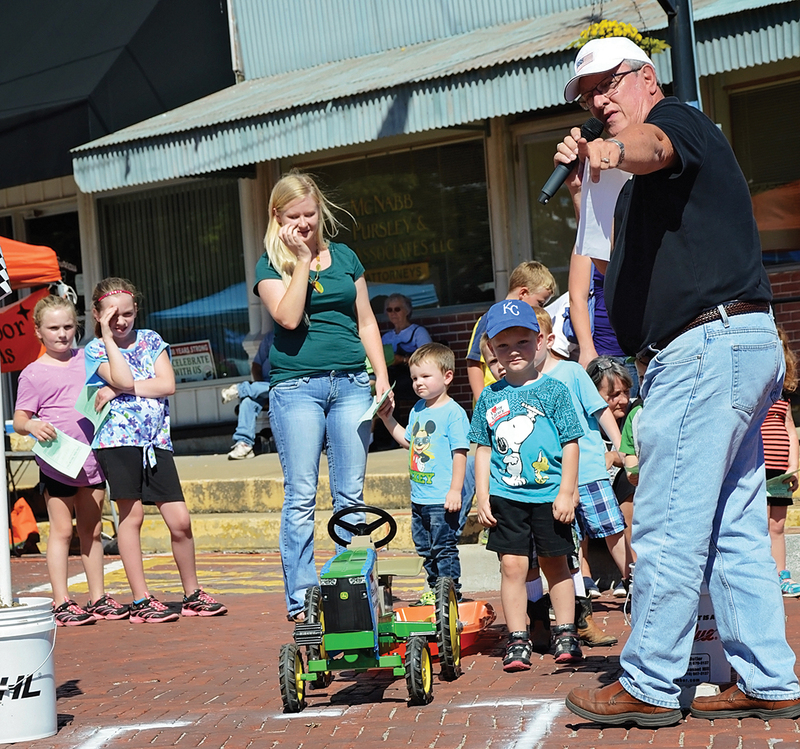 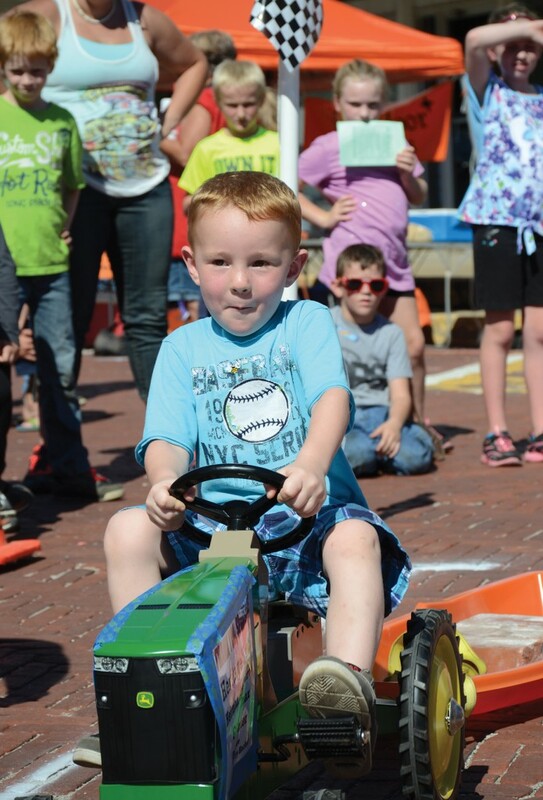 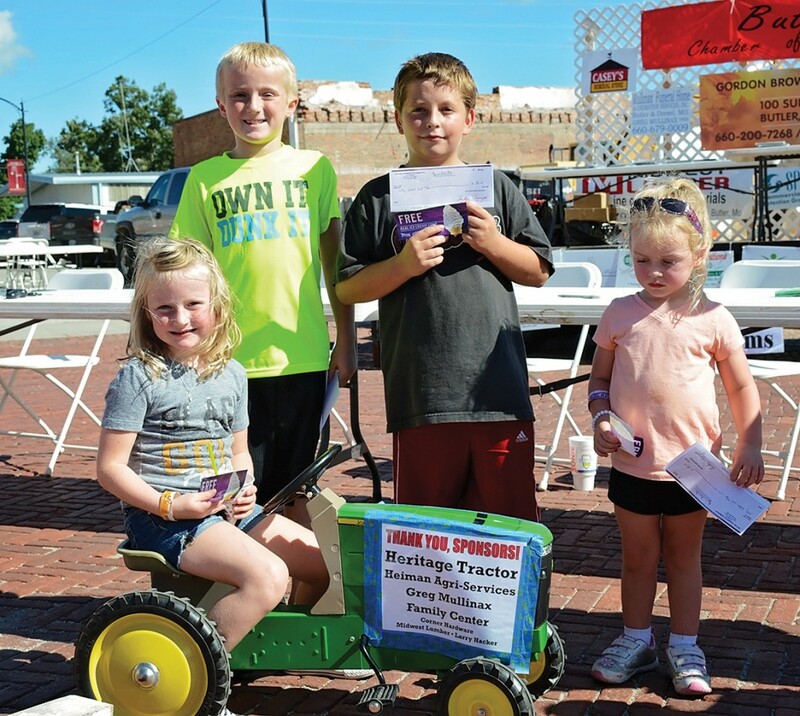 The kids had a great time at our first annual Pedal Tractor Pull, headed by by Larry Hacker, Chamber member & Bates County Southern Commissioner. Pedal Tractor Winners Jaclyn Jacobs (seated on the grand prize, donated by Heritage Tractor), and Bryce Jacobs, Seth Dickerson and Heidi Swearingen. 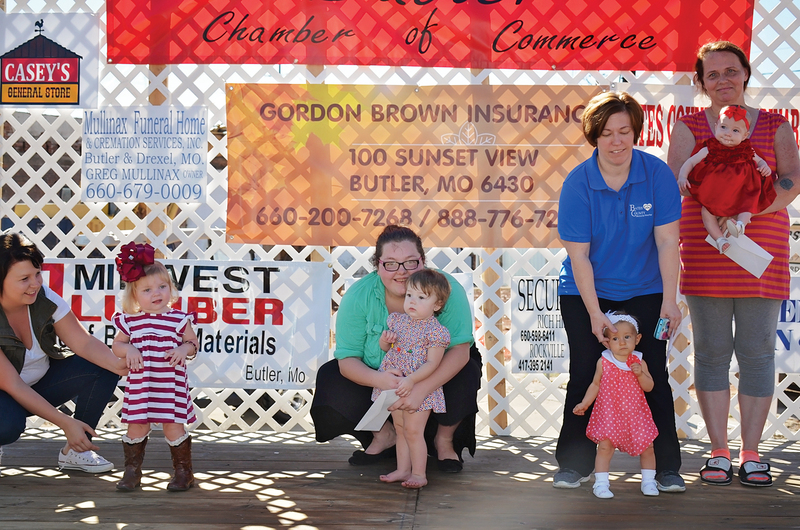 This popular tent was kindly provided by Midwest Lumber.